Today we're going Down Under for a great social media idea to highlight, the first time (that I can remember, anyway) I've featured an international university on this blog. Woohoo! Going global! Also, as someone who studied abroad in Austria for a year, I'm contractually obligated to link to the Austria/Australia joke from Dumb and Dumber. 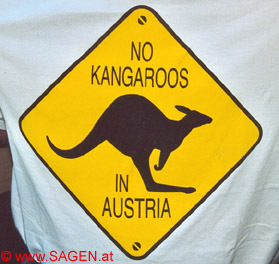 And to this t-shirt, which you see EVERYWHERE in Austria. 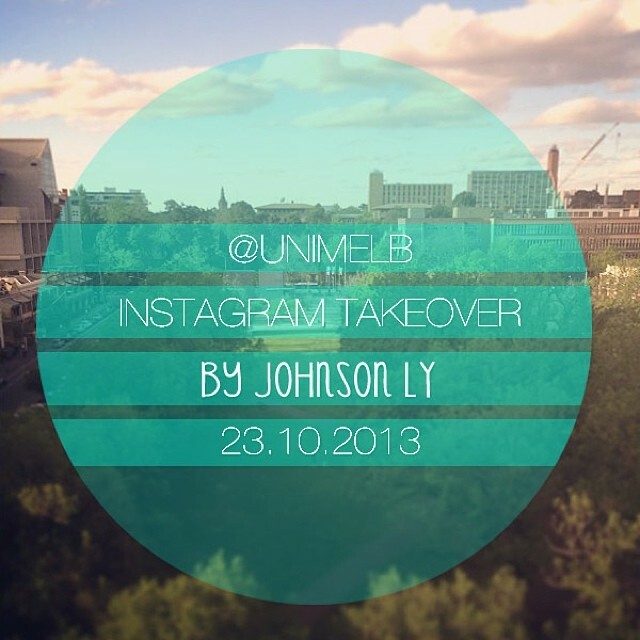 I love Instagram and I love the idea of social media "takeovers," so it's no wonder I love this promotion from the University of Melbourne, where they have twice now given the reins of their official Instagram account to a student photographer. The first time they did it was on September 17, and they did it again today. The best way to see all the photos is to go to the Instagram account itself and look for all the photos posted on October 22-23 (and September 17-18) tagged with #takeover - so you should go ahead and do that and then come back. It's OK. The blog will still be here. I like it for a lot of reasons, but probably top among them is something Josh Fitzwater of Kenyon College tweeted at me the other day: "Authentic marketing for your audience by your audience." One of the reasons I'm such a big proponent of Instagram right now is because it really feels like the place that students (college and HS) are doing the most authentic communicating with each other, except for maybe Snapchat. As a "brand" on Instagram, I try to match the natural tone of the medium the best I can, but at the end of the day what I'm doing is still marketing, and I feel like I can't ever really shake the stink of that. But handing the keys over to a student, to chronicle a day in the life on campus? That's a really powerful, albeit scary, concept. Sure, the photos might not get the same amount of "engagement" as a perfectly timed, perfectly shot photo that you might be able to post otherwise, but there is a powerful engagement happening in ways beyond likes - current and prospective students are being reached in a way that, ultimately, we marketers will never be able to replicate. Now, that's not to say that some good strategy can't go into place here. It would be smart to chose a day where there is a lot going on around campus - major events, a big game, etc. And of course you need to pick a student that both takes great pictures and is involved with cool things. All things that University of Melbourne did, if you go back and look at the photos from the takeovers. And while I'm generally very careful not to "spam" on social media with too many posts in one day, I think a takeover promotion like this with several posts is OK to do in small doses. In fact, it's actually a good way to get right out in front of people and force them to pay attention. They'll notice that something different is happening and will realize it's a big deal. I definitely don't recommend doing it all the time, but there is a certain value in blowing things out every now and then. A very rare every now and then, that is. Oct 21 Great Social Media Idea: Printables!